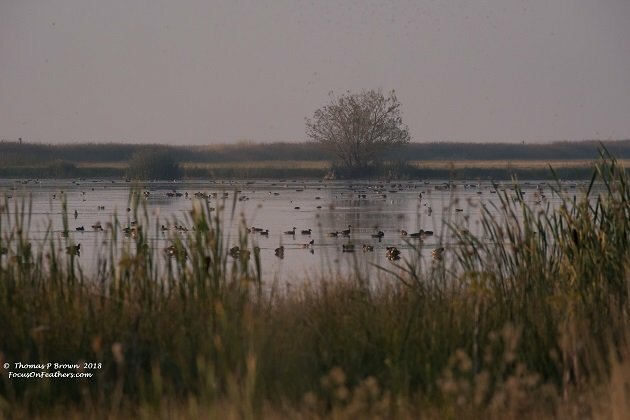 Imagine waking up to the call of thousands of ducks, geese, and every kind of marsh bird you can imagine. That is exactly where Week 30 in our Little Big Year adventure found us. Right, smack dad in the middle of Summer Lake Wildlife Refuge. 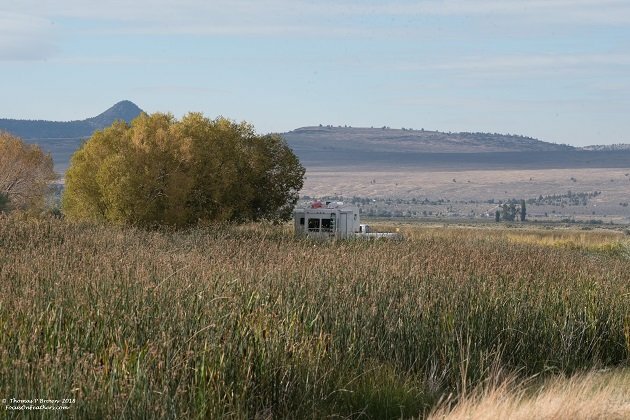 Our 5th wheel and truck are parked in just about as close to the middle of this central Oregon refuge as possible. Not another person for miles, and a pair of friendly, well, almost, Great Horned Owls living in the tree right above us. The refuge has set up a half a dozen “Primitive Camping Sites within the boundaries of the area. That means you have to be self contained, no water, no sewer hook ups, and no power, Perfect! We had four Days and three nights to enjoy ourselves, immersed in a birders nirvana. The only concern we had was a raging, 50,000 acre forest fire, about 15 miles away. There was no danger for us from the fire it’s self, but if the wind blew from the south, the resulting smoke could be potentially dangerous to our health. Fortunately the wind stayed mostly from the north, and other than one afternoon, we were for the most part clear. 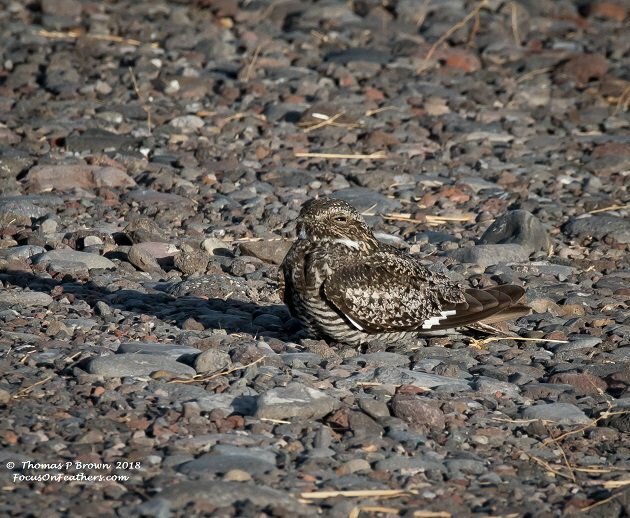 We knew we were a bit early, as the real bulk of the winter migration would start to appear in October, but we had hoped for a few early arrivals, and whatever we could track down that was local. By the time we left, I had recorded one new Lifer, 12 New Year Birds, and a total of 76 species. Here is a shot of our 5th wheel in the campground, as it were. 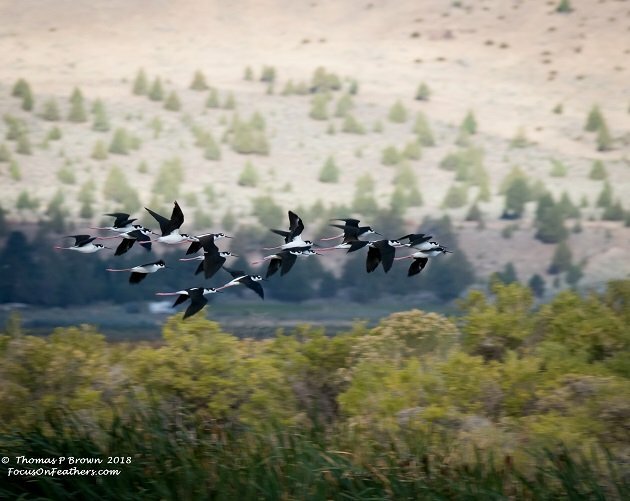 Hundreds of Black-necked Stilts were around the refuge, this group passed right by me on a short morning walk. 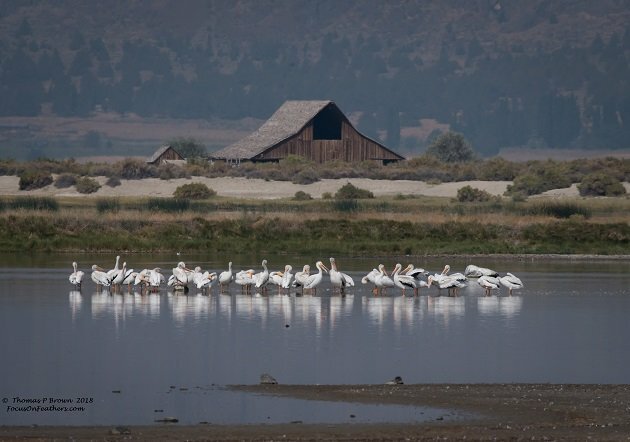 There is a 12 mile Wildlife Viewing Loop that can be driven, and is a great way to get a feel for the layout of the refuge. Part of this loop goes right by the old barn. This group of American White Pelicans were good enough to stop right where I wanted them to, to get this shot. 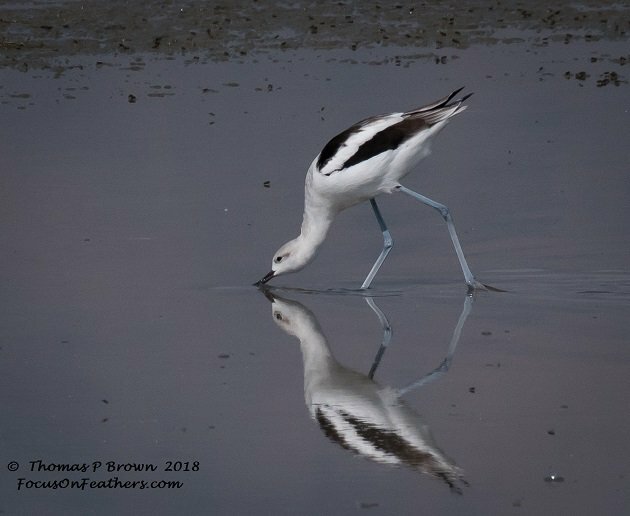 In the same shallow water as the pelicans, there were several hundred American Avocets. 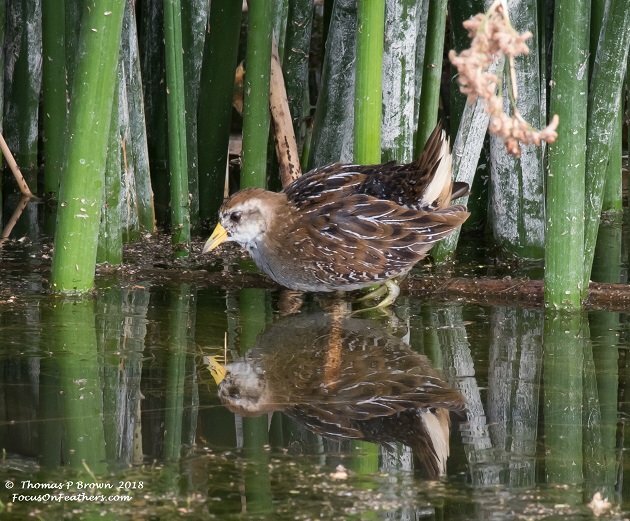 During the course of our time at Summer Lake, we saw a couple of dozen Sora’s. 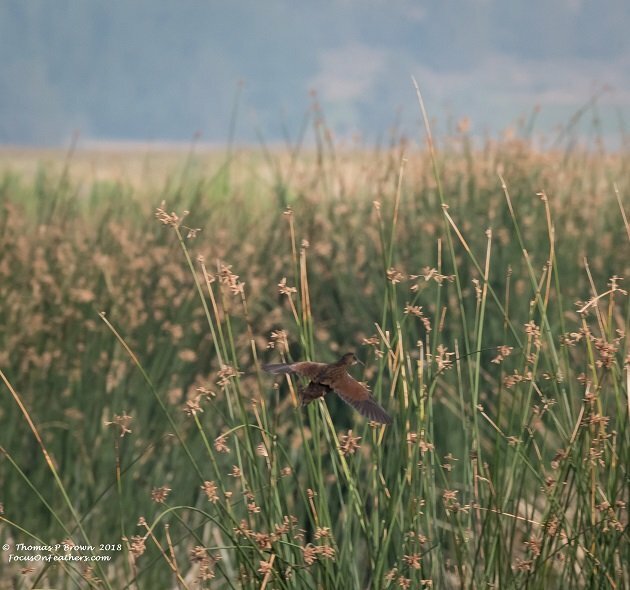 I have tried for years to get a decent picture of a Virginia Rail. This was as good as I could get this week. 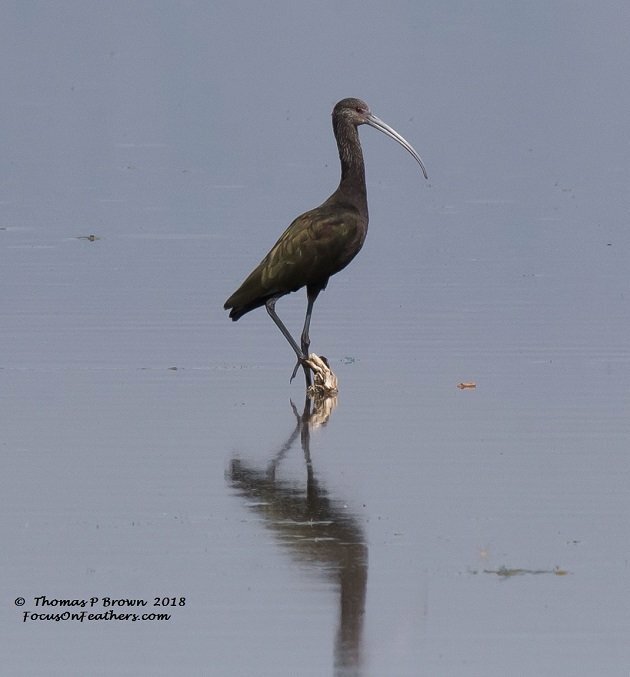 In the last few years, there have been more and more White-faced Ibis now calling Summer Lake home. This one was nice enough to pose on a small snag. There were quite a few Trumpeter Swans in the area. Nearly all have been fitted with leg bands and neck collars. These two are numbers 6@7 and 5@5. 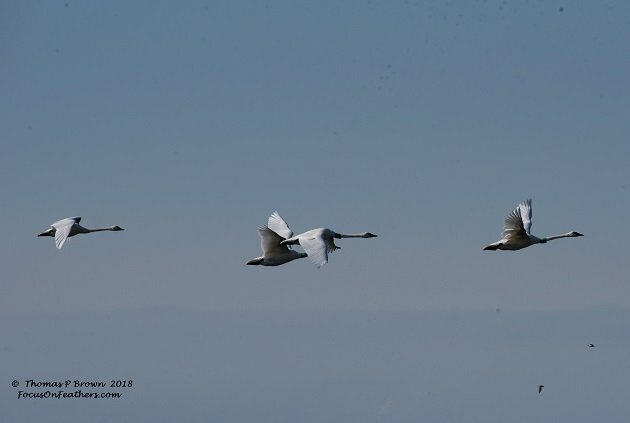 On our last morning, these Trumpeter Swans flew near our camp site. The front three, numbers 1@6, 1@5 and 1@7 are also Trumpeters. 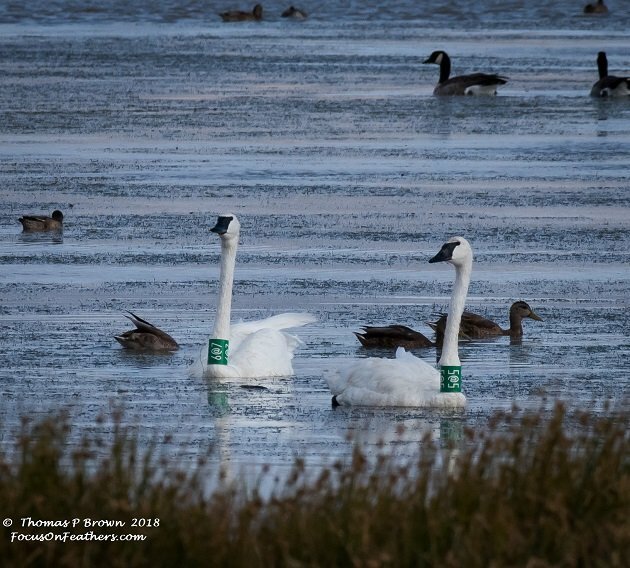 The trailer is actually turned out to be a juvenile Tundra Swan who must have joined them over night, as I had spotted it all alone on a nearby pond the night before. 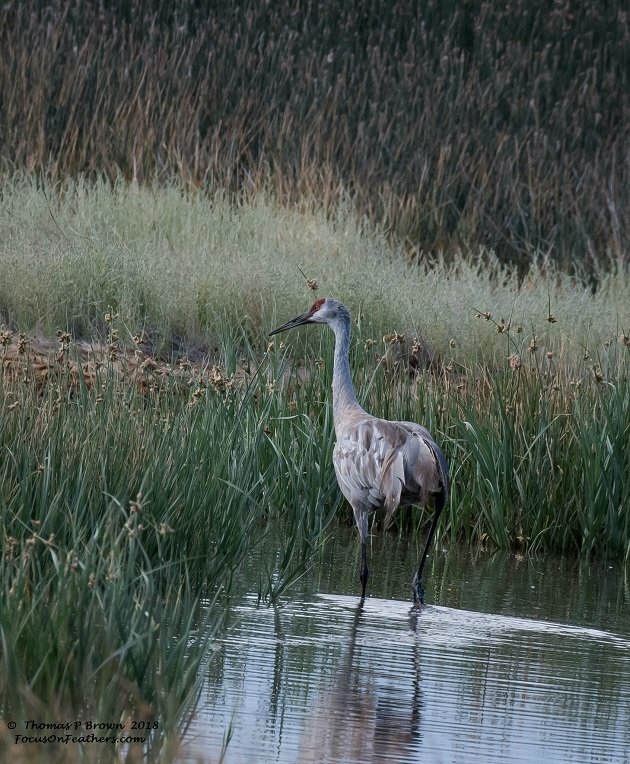 The refuge also sees a good number of Sandhill Cranes. This one waded nearby one of the dikes that I was walking along. 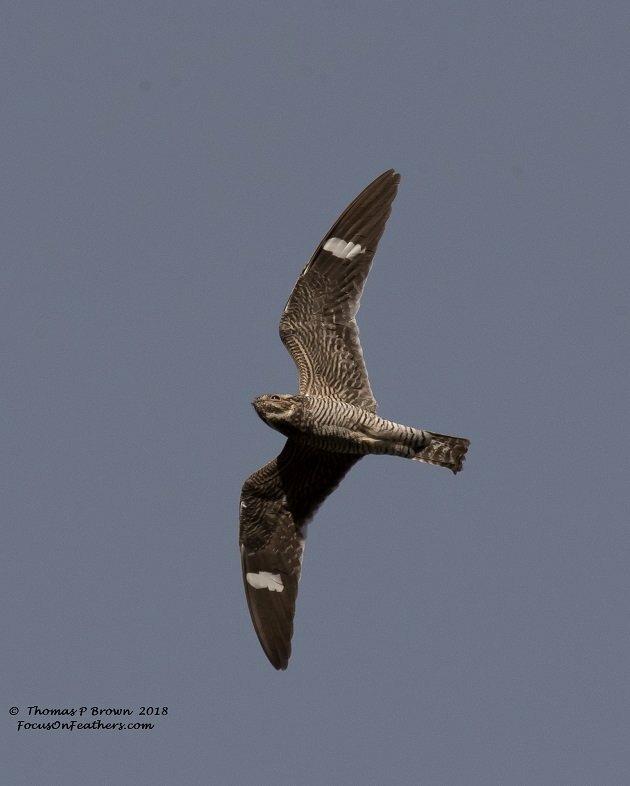 One of the biggest treats that I got as a photographer was to have nearly a hundred Common Nighthawks, all flying over head, a couple of hours before sunset. Then, the icing on the cake came, when one actually landed right in front of me! Now that is a first. As I walked along the trails, and water control dikes, I got to enjoy birds just about everywhere. Yellow-headed Blackbirds, Red-winged Blackbirds, Brewers Blackbirds, Marsh Wrens, And Common Yellowthroats were incredibly plentiful. 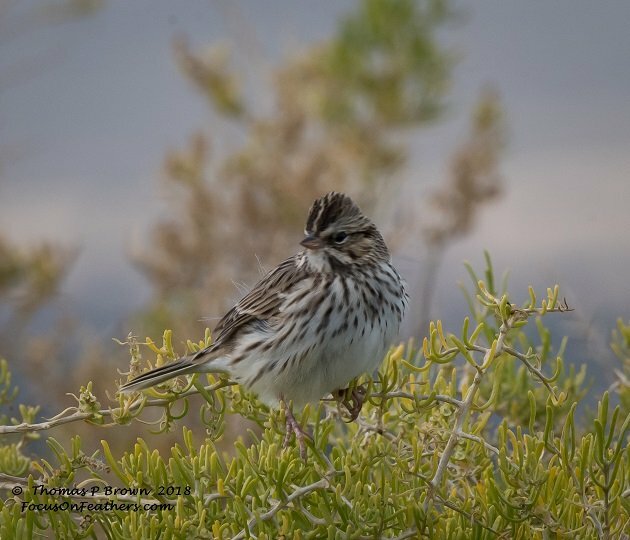 This Savannah Sparrow was one of many that flitted around the gravel on the trails and roadways. 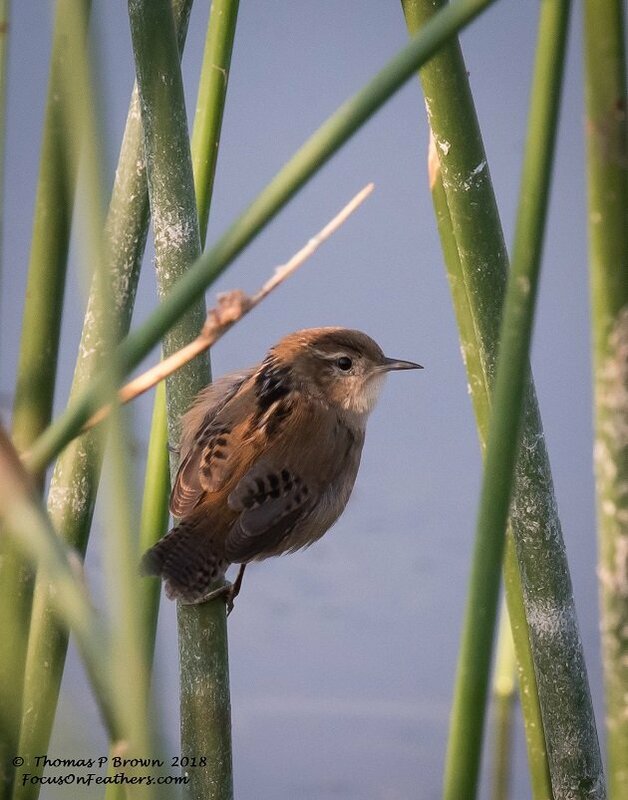 Here is one of those, hyper-active little Marsh Wrens. 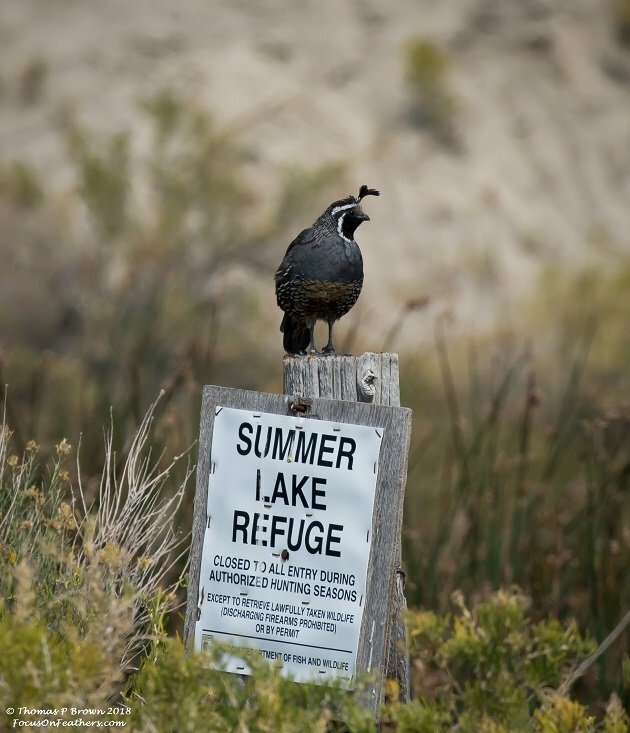 In what I am quite sure should be on a promotional flyer for the refuge, I was able to capture this beautiful male California Quail on one of the boundary signs. 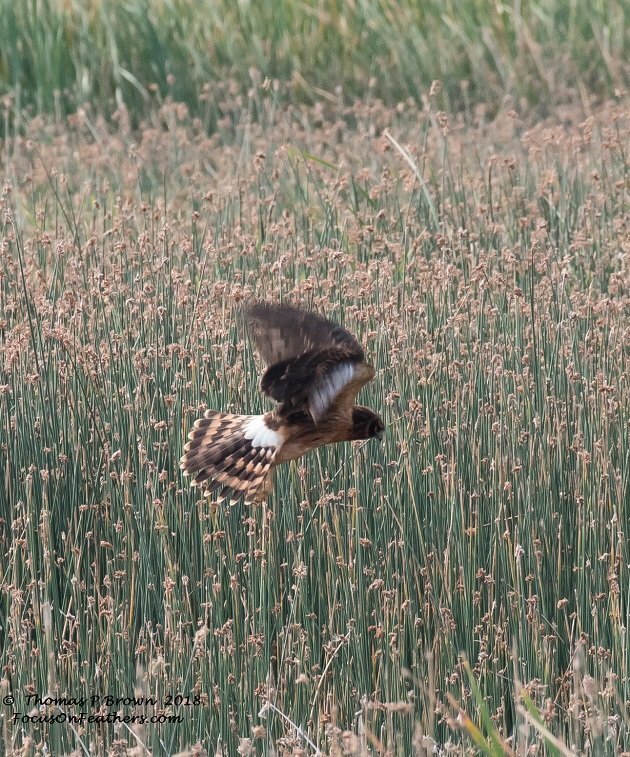 I lost count of the Number of Northern Harriers we saw during out time at Sumer Lake. This one has obviously spotted something it wanted to eat. 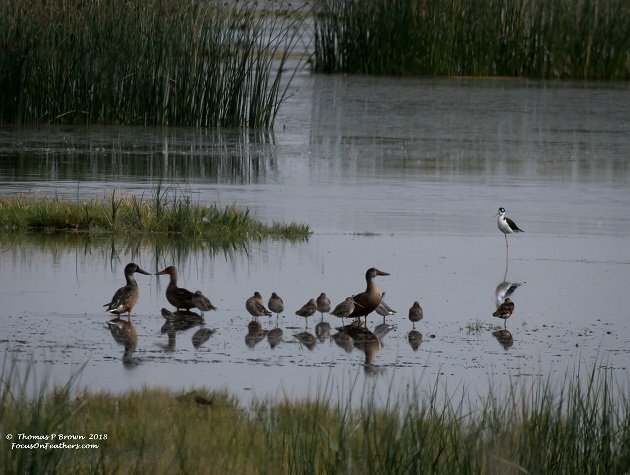 This is an interesting group, with a Black-necked Stilt, Northern Shovelers, Long-billed Dowitchers, and a couple of Least Sandpipers. All around our little campsite, we keep getting amazed but the diversity of the wildlife. In addition to the birds, we saw Mule Deer, Beaver, Muskrat, and Mink. 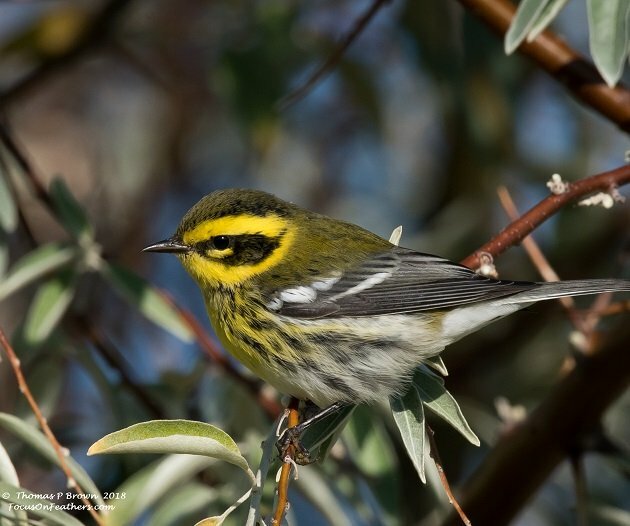 Within 40 yards of our 5th wheel, I had Common Yellowthroats, Orange-crowned Warblers, Yellow-rumped Warblers, Northern Flickers, Mourning Doves, to go along this lovely Townsends Warbler that showed up on our last morning. This is a picture that I took near our 5th wheel, the afternoon the smoke did roll in. This shot was taken at 2:00 PM. Summer Lake Wildlife Refuge is the beneficiary of support from several groups. This sign near our camping area list a few of the major contributors. This entire year we have been truly blessed with amazing weather. 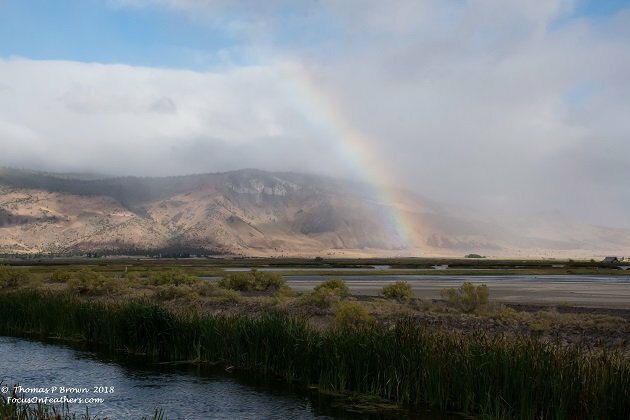 This rainbow came out early in the morning, just as I was heading out to walk the dike, but we never saw a drop of rain. 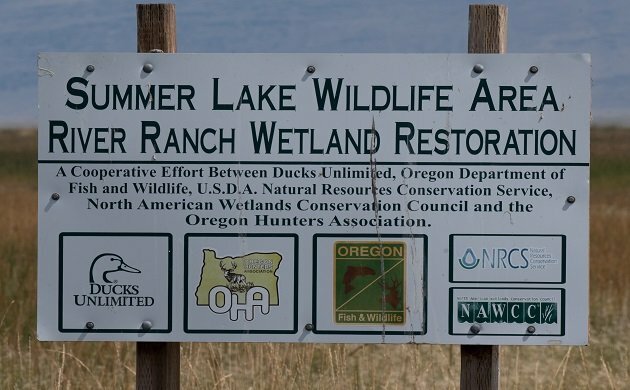 Next week we are heading for a couple of days at Hart Mountain NWR, and then wrap up the week at Malheur NWR. You Think Your Squirrels Are Greedy?